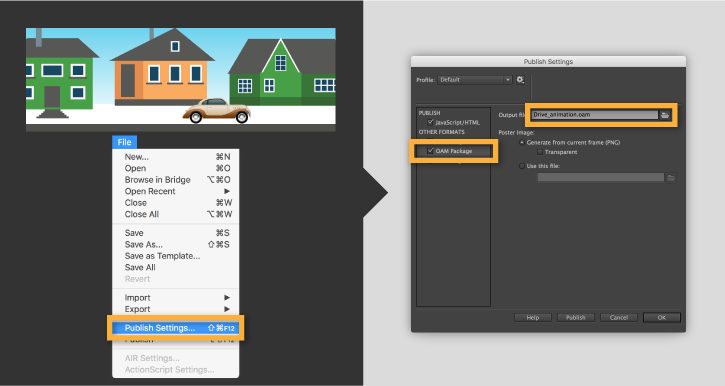 Learn how to publish OAM files from Animate CC to use in your Dreamweaver or Adobe Muse projects. 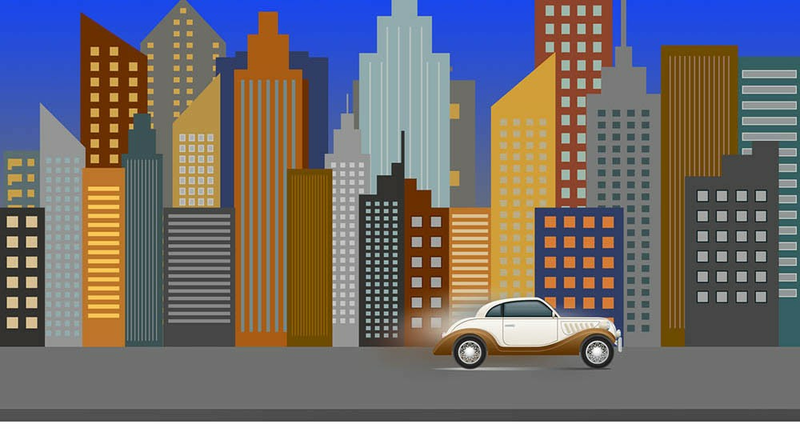 To publish animations in the popular OAM file format from Adobe Animate CC, you first create the OAM files from your project in Animate CC and then import the OAM files into your web layouts in Dreamweaver CC, Adobe Muse CC or InDesign. From Animate CC choose File > Publish Settings... . In the Publish Settings dialog box select OAM Package. Identify where you'd like to publish your file, and click the Publish button. When finished, click OK. 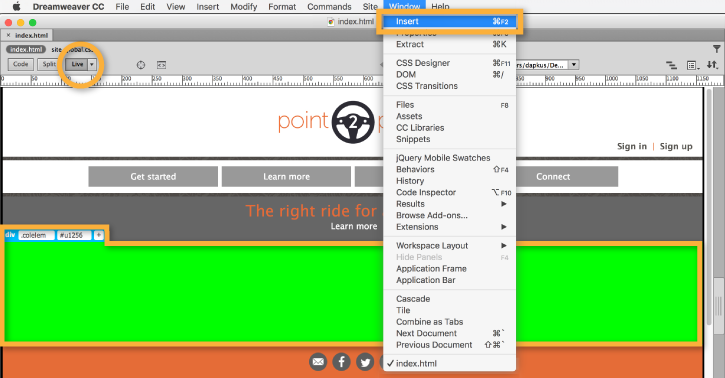 In Dreamweaver CC, select Live from the View menu to allow you to see your animation in Dreamweaver once it's in place. Next, select where you would like to place your animation and choose Window > Insert. In the Insert panel, choose Animated Composition. If prompted, choose where you'd like the animation to go relative to your insertion point. In this example, we've decided to Nest the animation inside the <Div> we have chosen. Next, navigate to the .OAM file you saved earlier using the Open file dialog box, and click Open. Your animation should now appear inside your layout. Navigate to the .OAM file you saved earlier using the Open file dialog box and click Open. Your cursor should now appear with a small thumbnail of the posterframe of your animation. Decide where you would like your animation to go and click. Note that the location you click is where the upper left-hand corner of your animation will appear. If necessary, reposition your animation. Once your animation is in its proper position, click the Preview tab to watch your animation play.